Dr. Khayrallah has been involved in pharmaceutical drug development for 30 years in executive as well as research and development positions. He acquired his experience in diverse pharmaceutical environments including large pharmaceutical, contract research, and biotechnology companies. Emergo Therapeutics is his fifth startup biopharmaceutical company in the last 11 years. He is also currently Chairman of the Board of Target Pharma Solutions, a clinical data company that works with pharmaceutical partners and the Food and Drug Administration to better understand the natural history of diseases, including treatment outcomes in the real world setting. Prior to these current positions, Dr. Khayrallah co-founded and led QuatroBio, LLC; Aerial BioPharma, LLC; Neuronex Inc.; Addrenex Pharmaceuticals, Inc.; and Alius Pharma, LLC. He also has held positions at Cytran, Inc., Lineberry Research Associates (later Constella Group and SRI International) in RTP, NC; Burroughs Wellcome Co. and later Glaxo Wellcome. He holds a Ph.D. degree in psychology from the University of North Carolina at Chapel Hill and a Bachelor’s degree in psychology from the American University of Beirut. Dr. Khayrallah is also actively involved with the entrepreneurial and social networks in the Research Triangle area of North Carolina. Dr. Hyde-DeRuyscher has been in the biotech world for over 20 years as a researcher and executive. He received his Ph.D. in Molecular Biology and Biochemistry from the University of Connecticut in 1989 with a focus on Virology. He carried out post-doctoral studies at Princeton University in the laboratory of Thomas Shenk extending his knowledge in virology and the control of gene expression. In 1996 he moved to North Carolina to become the first scientific employee at Novalon Pharmaceuticals where he carried out pivotal technology development enabling the company’s high-throughput screening platform for genomic targets. After Novalon was acquired by Karo Bio AB (Sweden), he stayed on and managed internal drug discovery efforts and external collaborations. Robin moved to Affinergy in 2003, focusing on enabling their peptide bridging technology and authoring multiple patents. In 2005 he moved to Biogen in RTP as part of the Manufacturing Sciences organization. He took on increasing levels of responsibility and was Associate Director responsible for global interactions with regulatory authorities for the approval of new products and inspections. He was involved in approvals for Avonex (2nd generation), Tysabri, Alprolix, Eloctate, and Plegridy. After Biogen, he became a consultant providing services in CMC and pre-clinical research. Emergo was conceived in early 2016 with his wife Nancy as they researched potential interventions into their daughter’s medical condition and they realized that mast cells presented opportunities as an untapped target that was involved in many disease states. Hazar has over 17 years of experience in the industry having served in numerous increasing leadership roles encompassing clinical research and regulatory affairs in both the pharma and CRO settings. Prior to joining Emergo, Hazar served as Senior Director of Regulatory Affairs at Kowa Research Institute where she provided strategic regulatory leadership and developed and implemented regulatory plans for over 6 product development programs across multiple therapeutic areas. Her other prior positions have included Senior Director of Regulatory Affairs at Impact Pharmaceutical Services, Associate Director of Regulatory Affairs at Pearl Therapeutics, Senior Group Manager for Regulatory Affairs and Strategic Drug Development at SRA International, and Section Head, Clinical Operations and Regulatory Affairs at Lineberry Research Associates. Throughout these roles, she has devised numerous successful clinical development strategies and led strategic regulatory planning and implementation for multiple development programs across a wide range of therapeutics areas. She has also led and contributed to multiple complex regulatory submissions, including over 12 INDs and over 14 NDAs/BLAs, and navigated the resolution of challenging regulatory issues via successful agency meetings and interactions to accomplish program objectives. Hazar holds a BS in Pharmacy from Long Island University’s College of Pharmacy and Health Sciences in New York, NY and a PhD in Pharmacology from Emory University School of Medicine in Atlanta, GA.
Karen Adams is a financial professional with more than 30 years experience growing companies and improving financial performance in fast paced environments. Currently Ms. Adams heads K J A Associates, LLC, a firm she established in 1993 to provide senior financial counsel and financial expertise in the areas of accounting, finance and operations to early stage companies or companies in a high growth or transitional mode. Her areas of expertise include sophisticated financial forecasting used for fund raising and to manage internal operations, working with business owners to develop and track key business indicators which lead to improved performance, design and implementation of accounting systems, budgets and other management reporting tools. Since launching KJA Associates, Ms. Adams has worked with companies across a broad range of industries with a focus on technology and life sciences. Karen holds a Bachelor of Science from the Carroll School of Management at Boston College with a concentration in Finance. Mr. McCarthy has over 18 years of experience in the life sciences industry including assignments at Fleet Laboratories, GlaxoSmithKline, and ViiV Healthcare. Prior to joining Emergo, Mr. McCarthy was Country Manager for ViiV Healthcare, Switzerland, where he was responsible for leading the entire business through a period of rapid growth, development and success. In addition to this role, he has led businesses through a broad range of commercial positions in the US and International Markets. Mr. McCarthy was an early member of GlaxoSmithKline’s global leadership development program, Esprit, where he built highly skilled teams in markets such as Hong Kong and Taiwan. Throughout his career, Mr. McCarthy has been involved in numerous business development transactions – beginning with his time at Fleet Laboratories. He received his MBA from the University of North Carolina – Chapel Hill, Kenan-Flagler School of Business. He also holds an MA, East Asian Studies, from the University of Virginia and a BS, Anthropology, from Appalachain State University. Mr. Arana has over 20 years of experience in the pharmaceutical industry, holding director and management positions in clinical research and operations. He has been responsible for planning and executing clinical development programs at Argos Therapeutics, Kowa Research Institute, and Trimeris, Inc. He began his career in clinical research as a clinical research associate, working initially for a CRO and later as an independent contractor. Before entering the pharmaceutical industry, he worked as a senior research technician at Duke University Medical Center in the Bryan Alzheimer’s Disease Research Center. Mr. Arana received his Master’s Degree in Molecular Biology and Biotechnology from East Carolina University and Bachelor of Science in Biology from the University of North Carolina at Chapel Hill. Dr. Agha is principal at Agha Consulting, LLC. She has over 30 years of drug development experience in large and small pharma providing core expertise in all CMC aspects of drug development and GMP compliance. Over her career, Dr. Agha has been involved in several successful INDs, IMPDs, and NDAs. Before starting her consulting company in 2008, she worked at American Cyanamid (now Pfizer), Sphinx Pharmaceuticals, Incara, Fulcrum, and Prism Pharmaceuticals. 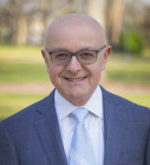 John C. Kapeghian, Ph.D., D.A.B.T. John Kapeghian is an independent consultant (Preclinical Safety Associates, LLC; Reno, NV, USA) specializing in toxicology and drug safety. John also assists contract laboratories in study management, report review and regulatory advisory services, currently as Sr. Scientific and Regulatory Advisor for Experimur (Chicago), and previously as acting Sr. Director of Toxicology, and (on-going) Sr. Toxicology Advisor with CiToxLAB, NA (Montreal). He was formerly head of Charles River’s Navigator Scientific and Regulatory Consulting group, and held senior management positions at Sierra Biomedical, a contract laboratory subsequently acquired by Charles River. Dr. Kapeghian previously worked for Ciba Pharmaceuticals (now Novartis), heading up regulatory toxicology units and directing their U.S. Experimental Toxicology program. He received his Ph.D. in pharmacology/toxicology from the University of Mississippi (Oxford campus) and has been board-certified in general toxicology by the American Board of Toxicology since 1985. John is a member of the American College of Toxicology (ACT), and Society of Toxicology (SOT). He formerly chaired the Pharmaceuticals Manufacturing Association’s DRUSAFE committee on In Vitro Toxicology and also served as a Section Editor for the International Journal of Toxicology from 1988 – 2008. John has experience in small molecule, peptide/protein, antisense oligonucleotide, and biologics development, as well as in expert review of medical device safety. He has worked on regulatory applications for the U.S., Canada, Europe, Australia, and India, and has over 30 years of experience, with numerous publications and scientific presentations in the field. Dr. Smiley is an independent Clinical Development Consultant providing expertise to the pharmaceutical and biotechnology industry. With 30 years of drug development experience she has contributed to drug development programs from the pre-IND through NDA submission phases across multiple therapeutic areas including infectious diseases, cardiovascular, pulmonary, ophthalmology, allergy and immunology and has contributed to the approval of 14 NDAs and over 24 INDs. Dr. Smiley holds her medical degree from the Duke University School of Medicine and is boarded in Internal Medicine and Infectious Diseases. In 1988, Dr. Smiley joined the Department of Infectious Diseases at Burroughs Wellcome (later Glaxo Wellcome) where she was involved with a variety of drug development programs for infectious diseases and immunology. She served as the Global Project Leader for Valtrex®, co-chaired multiple joint development committees with collaborating companies, and ultimately served as Vice President, HIV and Opportunistic Infections at Glaxo Wellcome. In 2001, Dr. Smiley became Chief Medical Officer at Trimeris and subsequently held the same position at Inspire Pharmaceuticals from 2005 to 2010. She was also Senior Vice President, Drug Safety and Pharmacovigilance leading both the Drug Safety and Drug Regulatory functions. Dr. Smiley currently serves as a member or as Chairman of a number of Data Safety Monitoring Boards. Ms. Donohue joined Emergo in July from NC State where she was an Executive Assistant in the Office of the Provost. Prior to that, she held administrative and marketing positions at Duke University’s Fuqua School of Business and Durham-based startup Big Spoon Roasters. She holds a BA in Theatre from Meredith College and received her MA in Liberal Studies from Duke University Graduate School.